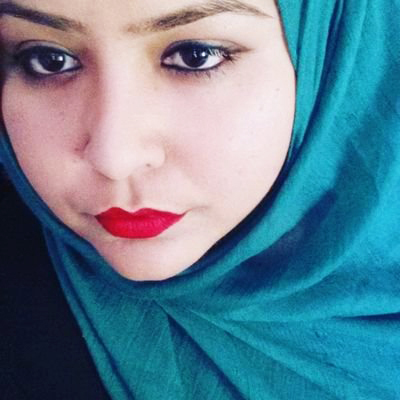 Nafiza Azad has a Master of Arts in Children’s Literature and a BA in English Literature. She identifies as an Indo-Fijian Canadian which is a mouthful but it keeps her happy. Her to read pile is a mountain with ambitions to reach the same height as Mount Everest and she’s addicted to chai. She is represented by Katelyn Detweiler of The Jill Grinberg Literary Agency. I spent about three years mentoring/tutoring K-12 students in creative writing. I worked with a published author (Maggie de Vries) to write my thesis novel. Plus my graduate degree in children’s literature let me read and evaluate a lot of children’s literature from both an academic perspective and a creative writing one. I would like to mentor someone who is passionate about writing and dedicated to learning the craft. As I feel like I myself have a lot to learn, my mentee and I will be more like partners than anything else. I would like to learn from them and impart my experiences with writing to them. I would like someone who is able to take my criticisms with aplomb and blow me away with their revisions. YA Fantasy. I also have a soft spot for fairy tales of any genre. I like spunky heroines and prefer female protagonists. Diverse characters and settings are a must too. I would also like books where the romance is a subplot and not the primary story. All my thoughts are meant as suggestions and I will not be at all upset if you decide they don’t fit with your vision of what your work looks like. I respond very quickly and I prefer to read and converse (usually over a chat program like Slack or Skype) over writing down my thoughts. This is mostly because I feel like giving my mentee time to react to my thoughts or counter my point with theirs will make the session more dynamic and memorable. I am very diplomatic but I am also very honest. I tend to ask a lot of questions about the story so “why” and “how” and “what?” are going to be common in my critique. I am sensitive to issues of cultural appropriation so please be aware of that. Kdramas! Libba Bray, Haruki Murakami, Alison Goodman, G. Willow Wilson, Melina Marchetta, Kate Elliott, Alison Croggon. I have so many faves and you will likely find out more about them when we work together. #ownvoices. A setting that is not North America. Magic. Strong heroines. No angels please. Stories set in India.